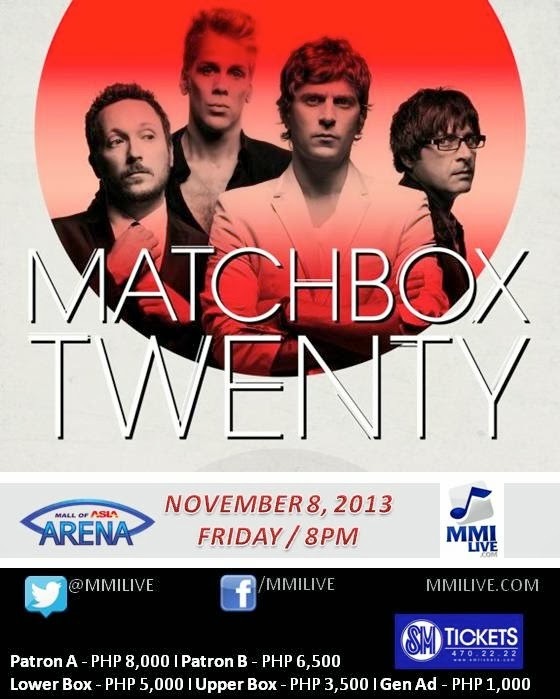 Pinoy fans of Rob Thomas and his rock band Matchbox Twenty, listen up! Thomas along with fellow band members Brian Yale, Paul Doucette and Kyle Cook are coming to town for a night of live rock music at the Mall of Asia Arena in Pasay City. The concert date will be on November 8, 2013. That's just about a month away. The concert is part of the band's worldwide tour promoting their latest album North which was released last year (September 4, 2012 to be exact). Tickets for the concert are now available for purchase. You can either buy them online from smtickets.com or you can buy them from an SM Tickets booth near you. These booths can be found in almost all SM mall branches. Prices of the tickets are as follows: P8,450 (VIP); P6,870 (Patron); P5,280 (Lower Box); P3,700 (Upper Box); and P1,060 (General Admission). These ticket prices may not necessarily be final. They can either go down or up as the concert date nears. However, it's still best to get your tickets now to ensure that you have them. There's a chance that all the tickets may get sold out a week or so before the concert. 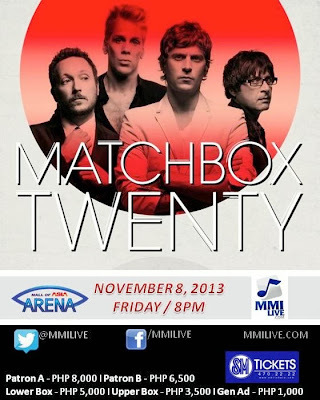 Before coming to Manila, Philippines, Matchbox Twenty will be holding concerts in Hong Kong in November 4 and in Bangkok, Thailand in November 6. From Bangkok, the band will fly to Manila for their rock concert at the Mall of Asia Arena in Pasay City. North, the album being promoted by the band in their worldwide live tour was released on September 4, 2012 through the label Atlantic Records. Five singles were released from the album. These singles were She's So Mean, Overjoyed, Put Your Hands Up, Our Song, and Parade. The album contains twelve tracks. This is for the standard copy of the album. The Deluxe version contains fifteen songs. The Japanese version contains sixteen songs. For North American buyers, they can get two additional bonus tracks if they purchase the album from Target. 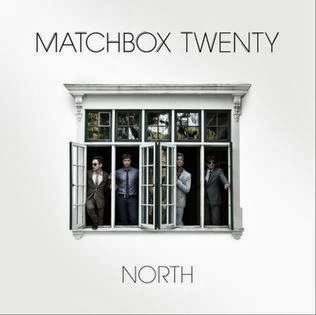 North is Matchbox Twenty's fourth studio album. The first three are Yourself or Someone Like You (1996), Mad Season (2000), More Than You Think You Are (2002), and Exile on Mainstream (2007). Among the most well-known songs from these previous albums include Real World, 3 AM, Push, Back 2 Good, If You're Gone, Bent, Disease, Unwell, Bright Lights, and How Far We've Come. Lead vocalist Rob Thomas has gone solo a couple of times releasing two well-received solo albums. These were Something to Be (2005) and Cradlesong (2009). Hits from these two albums include Her Diamonds, Someday, Mockingbird, Ever the Same, Lonely No More and This is How a Heart Breaks.